As I approach the 8th anniversary of this web site, my thoughts turned to writing and how it has been in my life for quite some time. Like so many talents, I believe this one exists in us all, not just me. It merely takes allowing yourself to put “pen to paper” or fingers to keyboard, in modern parlance, to begin. I’m not saying we’re all meant to be Hemingways or Stephen Kings, but there is a certain satisfaction to be found in putting to paper your thoughts and emotions, even if you are the only one who will ever read them. It’s actually quite therapeutic. Allowing ones thoughts and feelings to flow from your brain and heart, down your arm onto paper or screen, becomes a form of release that saves you from the repression that most of us habitually do instead. I was never big on English class. Writing assignments there I found to be boring and often trying to my mind and imagination. What I did do was write stories that encompassed the emotions and thoughts concerning the turmoil of my teenage life. There was a time, in high school, when I started a story that looked and sounded a lot like “Peyton Place,” a popular TV show of the time, that allowed me to talk about the agony and the ecstasy of being me, but kept it in a fictitious format. In later years, this lead to keeping journals. Ones that expressed my hopes, fears, and more, but also ones that spoke of the dreams I had when I slept at night. As I look back, this may be one of the things that kept me sane as I traversed through three failed marriages, bankruptcy, living in my car briefly, and so much more. It provided a release so that these emotions didn’t become trapped and buried within me. 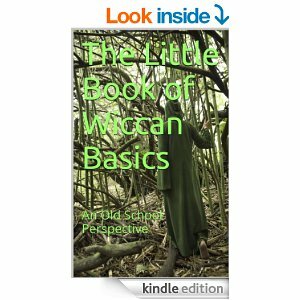 By the 80s, I was writing and editing a Pagan publication, Magickal Unicorn Messenger, which was actually an outlet, not only for my creative expression, but for my feelings concerning the spiritual path I had begun to follow – Wicca. It was an excellent experience for me on all fronts. I’ve made the attempt at writing books. I have two unfinished manuscripts – one fiction and one fact – that speak to my inability or lack of confidence to follow through. Yet, I wanted to keep writing. I think I actually needed to keep writing. So, what started as a bi-weekly email filled with astrological information became “Journey to the Center of the Mind” in 2011. Where some may seek fame and fortune through their writings, I have come to realize that I just need to write, even if no one reads it. Whenever I do write, I hope that what I have to say may offer some inspiration or insight to someone else, but, ultimately, I just need to write. Now, I’m smart enough to know I can’t be the only one that has this urge for self-expression – this need to release, rather than hold inside – my observations, feelings, thoughts, and more. The difference may lie in that I stopped looking for someone else to listen, to care, to respond. I don’t think I could wait around for that person to appear anymore. I just need to put to “paper” what seems to be uppermost in my mind. So the question now becomes, “How about you?” Have you ever kept a diary or a journal? Have you ever thought about doing it? How much are you holding inside that could really bring healing and peace if you would just write it down? I realize many of us would like to have at least one person who appears to care enough to listen to all we have a need to say. If that person doesn’t exist for you, will you just continue to hold everything in or will you seek release through writing? As the years have gone by and I’ve become a spiritual counselor for some, one of the things I often suggest is writing down your feelings. This, not only energetically releases them from your body, leaves a record that you can return to read at a later time. You’d be surprised the insight it gives you into where you were then and where you are now. It can be pretty enlightening. Something else that may come from those moments of writing is perception. Sometimes we are so immersed in these emotions, that we haven’t found an outlet for, that we can’t see the forest for the trees. Writing can point to a particular “tree” and say, “Take notice.” It is then that we realize there’s something we can do that we hadn’t thought of before. There’s always the chance that you suddenly realize you have something to say that may benefit another person or that there’s a real storyteller residing within that’s just been waiting for an opportunity to make their presence known. Wow! Wouldn’t that be awesome? It is a possibility. No matter what brings you to writing, there is a writer in each of us. Some just want to speak privately to unload words filled with thought and feeling that have been kept inside for far too long. Others may find that, even though they start with just writing for release and peace of mind, they enjoy it and would like to do more in the way of fact or fiction. Your inner writer awaits permission to speak. Give it a try. You might be surprised at the results. This entry was posted in Astrology, Pieces of the Puzzle and tagged Diary, Emotion, Ideas, Journal, Paganism, Samantha Herron, Self-discovery, Self-Help, Storyteller, Therapy, Thoughts, Wicca, Writing. Bookmark the permalink.